The Old Hellfire Club – Kickstarter - It's been nearly a year since Christ had first heard of and played The Old Hellfire Club. We are very pleased to announce that they are now live on Kickstarter. Here is why you should now go and check it out and back their campaign. GeekOut Bristol Meet – April 14th: Superhero Assembly - The superheroes and supervillains of Bristol came together in a mighty menagerie, proving case in point that they were the best ensemble of all. They came in, they grabbed plenty of drinks and then they entered themselves in a competition of superheroics, where now we know whose image will leave a lasting impression. But how did the event itself go, what do we have planned for next month and where oh where did we go to eat before the meet? As ever, today we're checking out this past weekend's GeekOut Bristol Meet! Why Professional Wrestling Is Now A Geek Subject - Since the decline of the Attitude Era, WWE, the largest wrestling promotion, has undergone rapid change. From a change in wrestlers and the presentation, to the audience themselves. I’ve written on numerous occasions about pay-per-views, such as this past weekend’s Wrestlemania and NXT TakeOver. Today, I’d like to chat about why pro wrestling is actually a geek topic. Hopefully, this’ll explain why you see so many wrestlers at Comic Cons! Top 10 Frogs - Humans have been telling stories for a long time. One of the most popular stories passed down through the ages, is about the frog who was a prince. They say that a princess kissed the frog, which lifted the curse from the prince. Well, they say you’ve got to kiss a few frogs before you find your prince, but today we’re not looking for a prince. We’re looking for the best frogs in all of pop culture, in this week’s Top 10 Frogs. Mobile Game Review: Homescapes - You know when you see an advert enough times, you eventually just have to cave in? This is one of those times, where I’ve seen an advert for this Homescapes game on so many occasions and I’ve never actually even downloaded it. Indeed, I wouldn’t normally review a game like this - It’s one of those match three or more puzzle games, but it has a few extra elements worth mentioning. Geek Travels: Glasgow - I've only ever been to Glasgow for work and even then I only stayed one night, where I spent that night in a pub with my work colleagues and we got very, very drunk. But what I do remember about Glasgow is that it's a city with an interesting history, with lots of character. I recently revisited the city and to say that the it has changed is a bit of an understatement. Whilst wandering the streets, I was pleasantly surprised to find that Glasgow has a booming geek culture and wanted to share it with you. Thoughts on NXT TakeOver: New York - NXT TakeOver is the biggest show for the developmental branch of WWE. It's known as one of the most exciting brands in all professional wrestling and it's a crying shame that every show isn't quite up to the callibre of NXT, however then we would be spoilt for choice. This past Friday night, NXT TakeOver put out an incredible show, which is just what the exciting brand keeps on giving. With five titles up for grabs, there was a buzz about this show and the results of the show were, largely, quite exciting. So, since I mentioned on Friday that this weekend is WrestleMania weekend, here's a quick summary of NXT TakeOver: New York, as well as my thoughts about the results. Top 10 Politically Charged Stories - Political deception and intrigue is something that’s fascinated us for years, so when a story comes along that makes politics interesting, we take note. Whilst the world is incredibly uncertain at the moment, what with all of the politics happening around the place, let’s take a step away from the real world. Read about the turmoil caused by politicians in various stories, as we check out our Top 10 Politically Charged Stories. Wrestlemania 35 Weekend Is Here - Professional wrestling is often considered to be an art. Other times, it's just really funny. They sometimes try to touch upon some serious issues, or they decide to go completely off the rails and just have fun. No matter what though, wrestling is entertaining and I love it to bits. Every year, I end up writing something to do with wrestling and today is no different. On the build to Wrestlemania 35, here are the stories that have captivated me the most, as well as the two which have sort of left me wondering why it's being done. Mobile Game Review – Animal Crossing: Pocket Camp - Pocket Camp incorporates cute gameplay, coupled with a “collect them all” style system. If you’ve ever played a previous Animal Crossing game, then this one is a similar premise, albeit in a much more compact space. But for those of you who’ve never had the pleasure of playing one of the games in the series, here we are to show you how it looks, feels and what you actually do in Pocket Camp. Download Now: The GeekOut AttendMe App - Have you ever wanted to attend a Meetup, but didn't know how to get involved? Want to try a attending an event, before committing your time outside of your increasingly busy schedule? 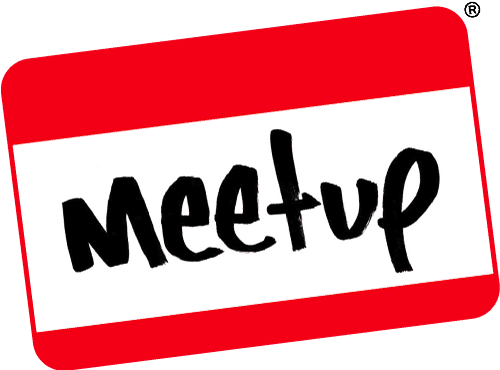 Do you want to run a meetup, but don't want to get too far outside of your comfort zone? Then look no further. We here at GeekOut Media have been working behind the scenes to ensure a better future for meetups and events worldwide. European Parliament Passes Article 13 - Yesterday (26th March 2019), Article 13 was passed by the European Parliament. A while back, we wrote an article that I think many of you would have agreed with (or at least seemed to agree with at the time). Unfortunately, it appears that our battle for Article 13 to be denied has been, temporarily in vein. Whilst we can only speculate what this means for the future, here are some of the facts that we know of so far. Anime Review: The Promised Neverland - Psychological horror that will chill you to the core, The Promised Neverland is simply a tale that will have you both captivated and horrified. With a likable cast, an excellent OST and a dark premise behind it, this will be one of 2019’s best anime, but it will likely go along relatively unheard of due to the genre. Nevertheless, I decided to check out The Promised Neverland, as the idea behind it caught my attention at the start of the year. Warhammer 40,000: Meet The Races - Warhammer 40,000 is a tabletop miniature wargame, created by Rick Priestley and produced en masse by Games Workshop. The game is essentially the sci-fi version of the Fantasy game, Warhammer. If you were ever to walk into a Games Workshop store, you can be sure that you’d be taken in by all of the craft, all of the skill and indeed all of the amazing paints. But what race would you pick? Here is a brief summary of each of the races. Top 10 Terrifying Tech - Technology is marvelous, isn’t it? From the powers of the internet, through to robotics like Asimo, tech has changed our lives. However, in the real world and in fictional works, some technology isn’t used for the betterment of mankind, but rather to further an agenda. Look even further and you see that sometimes the well-intended is outright terrifying. Here are our Top 10 examples of terrifying tech. Old Viral Videos (That Still Make Me Laugh) - Memes used to not be called memes - Rather they were called Viral Videos. These were hugely successful videos which, during the earlier days of the internet, usually only took off because they were universally funny. It feels like these days anything can be a meme. "Oh that meme is self aware haha", people will say as they look at an image someone put together, specifically mocking something their little group of 100 people likes to mock. Very good, folk, very good. Now move aside whippersnappers, here are some classic viral videos - Which of these do you know? Raspberry Pi Projects - I have in my possession two Raspberry Pi's. The first one is the one we take to GeekOut Bristol Meets, which has a bunch of retro games on it. I've got a bunch of controllers for it, where it acts as our sort of mini retro arcade. Great. But my other Raspberry Pi I've not really done much with for a while. Originally, I was going to have it as a sort of "task manager", where you press a tick button to say you've done the task. However, I never got around to it. Now I keep looking at it and I'm thinking of doing something else with it. Here's a couple of projects I'm considering for my Pi - So hopefully you'll get some ideas what to do with yours! GeekOut Bristol Meet – April 13th: Superhero Assembly - 18+ EventNever fear, for GeekOut Bristol Meet is here! We're back with action-packed superhero antics. If you're a fan of Marvel, DC, Independents, or hey even superhero anime/manga, then you're catered for here! Oh and if you're not a big superhero fan, don't worry, we're still all about the games! On Kickstarter: Offensive Adult Party Game - In many ways more than one, the name of the game sort of tells you everything you think you need to know about it. This game is Offensive Adult Party Game, which is a mock of all of those offensive adult party games you've seen. You know the ones - They even took the image of one. Now, there's not a massive amount to say about this campaign, but all you need to know is that it's already earned enough to be funded, so there's something. If you're a fan of parody-esque Kickstarter products, then read on. Unique Builds: When Playing A Game Becomes Playing The Game - I'm such a sucker for strange, unique builds in video games that I thought it'd be fun to chat about it. If you don't know what I mean by making a unique build, or even what making a build is, then think of it like this: Each character has a preferential way to be played. A warrior wouldn't spec in wisdom, in Dungeons & Dragons terms, not normally anyway. So when I get given the opportunity to go a little bit maverick, I really enjoy doing so. From creating completely custom classes, through to mix and matching armour sets to have strange effects, I love unique builds - And here's why. Energy: Slowing Games Unnecessarily - Have you ever been bored and downloaded a random game, be it from the App Store or Google Play? I do this a lot. At the moment, I'm playing a daft game where you summon all the chickens, akin to the little girl who wants you to look at all of them. I'm also playing some castle defense game, where I just summon as many monsters as I physically can to take down the enemy. As such, I'm pretty set in that I have games to play - And I find them amusing. Sometimes though, I yearn for a new game... And I love strategy, puzzles and more. It's also here I find the most deadly sin of all; energy systems. Projectors: What you need to know before you buy - Projectors are fantastic; if you have a Raspberry Pi, or if you have a laptop, a tablet - Whatever it is, you may want to project it. We used to use a projector at the GeekOut Bristol Meets, which we would project a game onto a wall (usually an ill-suited wall at that). However, the projector we had was terrible if your game had words to pay attention to. We certainly couldn’t watch a film off it - So what went wrong and what do you need to know before you buy a projector? GeekOut Bristol Meet – March 8th: Mash The Keypad Gallery - The attendees of Bristol came and played their hearts out, in a competition that had two major prizes. Cash, physical prizes and pride was on the line, as not three, but four attendees walked away with a gift worth talking about. The retro games took their toll on people, as they were as hard as we remembered them. As another event is now behind us, it's time for our monthly look back at what happened. As ever, we'll look at the numbers that made up our event, as well as the competition, the prizes and more. Kickstarter Highlight: Throw Throw Burrito - Ever wondered what it would be like to mix a civil game of cards with dodgeball mechanics? Neither had I before, but now I’ve been shown the light. Thanks to the creator’s of Exploding Kittens and Bears vs Babies, The Oatmeal, I now want to know how to dip, dodge, duck, dive and dodge through a card game. Introducing their latest delightful family-friendly game, Throw Throw Burrito. Organising A Meetup: A Purpose For Your Group - I recently started to talk about the concept of running meetups for yourself; having a common purpose, a common idea or even just an excuse to get some people out of the house. All in all, running a Meetup is an enormous undertaking with huge benefits, whether it be one under the Meetup.com banner, or an event that you're just putting together. I've done some of these articles in the past, but every now and then I still recieve emails and notifications through various places. I sometimes get asked if someone can run an event for me, when they have no experience. I sometimes get asked if they can take over my event (...). Anyway, this is how to run a meetup and how purpose matters. Pokemon Sword & Shield: Gen 8 Is Coming - Well Nintendo Direct has done it again, it’s announced another blockbuster title, making the Nintendo Switch look ever sweeter. This time around, for the first time, you’ll be able to get a main series Pokemon title on your TVs, thanks to the power of the portable machine. There are numerous great things about Gen 8 and numerous questionable aspects, so here’s all that everyone knows so far (and indeed, my take on it all). Please Read The Patch Notes - You know, I've sat here contemplating how to word this one, but the truth is that there's only one way to word it. People really need to read the patch notes for games, or anything else. This rule doesn't apply just to games either; sometimes a company will put our a major announcement, but then people will still be surprised when said announcement, whatever it may be, comes into effect. The truth is that people don't spend enough time sitting back, trying to digest the information they're given. This is, I guess, partly due to the immediate nature of the internet - and also partly due to overall laziness. GameBlast19: We Smashed Our Target - Yesterday, Later Levels' Kim and Pete were up from 8am until 8am the following day, all in the name of charity. We mentioned before that we planned on joining them, which is exactly what both Jake and I did. We stayed up for the long haul, we had two targets to meet and achieve and we smashed both of them. Would we manage to get a character from level 0-50? Would we also manage to get our donation goal? It was a long night for us, but I'm pleased to say we managed everything we set out to do - and I couldn't be more proud. GameBlast19: What To Expect on Saturday 23rd February 2019 - Another year has passed us by and GameBlast is upon us again. Our friends Kim and Pete over at Later Levels are hard at work preparing a massive stream filled with a variety of games for a whopping 24-hour game fest. I’m always spurred on by these kinds of initiatives, so naturally I wanted to help out in any way I could. Now that GameBlast is tomorrow, we’ve arranged how we fit into all of this! Lasers and Liches – Kickstarter - This article has a weird back story so bear with me! I was just relaxing one evening and looking through my notifications and noticed I had a new follower on Twitter. Now I usually am quite curious about people who follow me on Twitter. I wonder if they don't know me personally then I wonder which bit of random content bought them to me. So I begin to head down the so-called rabbit hole which led me to somewhere rather interesting. GeekOut Bristol Meet – March 8th: Mash the Keypad - Gamers rejoice, as we're coming back to the Old Market Tavern with another video-game filled event. It's been a while since we had a big session, but now it's time to put on your gamers gauntlet, as we celebrate video games in all of its glory. Hosting Your Own Social Event – Venue Considerations - Alright, so I don’t really get to chat much about what it means to host events, as well as the thought process behind it. When I started up GeekOut South-West at the tail-end of 2013, I had no idea how many venues would actually be asking me to take our business to them. Now in 2019, we’ve been at the same venue for a number of years now (since 2015, would you believe?) But what do you need to think about when hosting your own social event? Top 10 Annoying Mechanics - Have you ever picked up a game and just gotten utterly frustrated at it? I know we have, but many of us are subjected to these annoying mechanics and we just put up with it. Have no fear, you’re not alone in getting angry, or outright flabbergasted as to why developers would leave these in. You chose this, so don’t get angry at us if we feature the most annoying mechanic to you, because we’re here to educate everyone about what games do in this week’s Top 10. The Evolution of Pikachu - Pokemon was first introduced to the world in 1996 in Japan, which became a massive phenomenon both in Japan and internationally. From various video games, to anime and even spin-offs, the franchise has grown from strength to strength - But the same mascot has keep the series recognisable worldwide… And today, we’re going to look at Pikachu’s evolution. We’re not talking about Raichu, nor the baby Pichu, but rather how Pikachu has evolved over the years. On Writing a Wizard – A Discussion On The Word - I’ve alluded to the fact that I’m not a professional writer, unless you count blogging. However, over the years I’ve discovered that my favourite style is high fantasy, in which I’ve gotten through dozens upon dozens of books. One thing that has been interesting to me in literature, films and even video games, is how the portrayal of wizards have been changed over the years, to where they’re not what they used to be - Or at least to my understanding. Today, I thought I’d discuss the term wizard and what it means to me, as well as the classical meaning of the term. GeekOut Bristol Meet – February 9th: Stay A While, Story-Teller - Whilst the skies above decided to put a dampener on the day, those of us who braved the elements had a night of fun and games at the Old Market Tavern. We went for a great pre-meetup over at Wagamama's in Cabot, before heading down to our friends in the Old Market Tavern, for plenty of board games and a night of writing. Whilst it was another fun event, people were pretty excited about an announcement I made about one of the prizes for next month's competition, which is going to be a pretty big competition to get through. Anime Characters That Stood Out To Me As A 90’s Kid - Alright, a bit of a convoluted title for what's effectively a discussion piece, but I figured it'd be fun to look back at 90's anime that I checked out - Both growing up and afterwards. 90's (and early 00's) was huge for anime here in the UK, as that's when we got Pokemon and Dragon Ball Z on our TVs. But they weren't the only series that was on TV and most importantly, there were a number of series from around that time that we couldn't see here in the UK - But I still ended up finding them. As such, these are the characters I thoroughly enjoyed the most as a kid - and by kid, I do mean until I was about 14-15, so we're going into the 00's a bit! Top 10 Characters Who Are Too Powerful - “Too powerful? There’s no such thing!” I hear you scream at us, as you take a swipe at the pages, turning it over and destroying worlds in the process. We are just suggesting that maybe, just maybe, sometimes a character is made that is far too powerful - A character that surpasses most other characters within their respective universes. In today’s Top 10, we’re celebrating those whose powers know no bounds - At least potentially. Working in a Cloud-Based World - You know, I’ve been struggling to put my finger on it, but I think I’m there now. There’s something that fascinates and infuriates me about the way people work. No, I don’t just mean the way people go into work every day, clock in, do their usual stuff and clock out. I mean from a technological standpoint, there’s something interesting and novel about working through cloud-based systems. Yet, here we are, in 2019, with an ever more connected world - and I don’t think we’re fully there yet. Spider-Manuary – Into The Spiderverse - Into the Spiderverse was Sony’s most recent effort with Spider-Man, having almost completely lost power over the main thread of Peter Parker to the Disney/Marvel steamroller. Sony have been left with the castoffs to play with, and they’re doing the best they can with limited control, including a Venom solo movie that had an underwhelming but not disastrous response from audiences, and now the animated feature that brings together Spider-Mans from across the Marvel Multiverse. Mobile Game Review: Good Knight Story - Ever gotten back from a night on the town and completely forgotten everything? Well, you're not the only one, as in today's review, we follow the adventures of a Knight who cannot remember what happened in the past 24 hours. In a tale of hearty antics and drinks galore, Knight Story takes us through a puzzle story featuring a knight, a Leprechaun and lots of really angry innkeepers, kings and monsters. Who ever would have put those lot together? But how well does this Android and iOS title play? What does it do different to similar games in the genre? Read on for our full review. GameBlast19: Raising Money For A Great Cause - It's February, which means GameBlast19 is going to be upon us in the coming few weeks. These events are always absolutely worth watching and helping out with, so it's always a pleasure to be able to write about them. Still, if you're looking for something to watch on February 23rd, our friends Kim and Pete over at Later Levels, along with some cameos from myself and Jake, for a whopping 24 hour game-a-thon. Here's what you need to know about GameBlast19, the charity we're raising money for and how you can help us reach our goal. Read on to find out more! Top 10 Bad Role Playing Game Habits - Don’t try to deny it, if you’ve played an RPG, you will have done at least one or perhaps two of the items on today’s list. We’re looking at the best of the worst habits that you and all gamers get, specifically when playing a Role Playing Game. Whether you’re an infamous example of inadequacy, or if you’re the most heroic person ever, if chickens were going to overrun a city, this Top 10 list is checking out those habits we really should shake. Video Editing with Filmora - In the past, many of you will have seen me put out videos for us. I used to run a series of Stonekeep videos, which I absolutely have to pick back up and finish. I also used to edit interviews and more, often to relatively quick timescales. Having made so many videos now, it's unsurprising that occasionally my day job gets me to do editing for their corporate videos as well. This isn't a problem to me, I quite enjoy doing the work... To the point where I figured today would be a good time to chat about video editing, Wondershare Filmora and alternatives for those on even tighter budgets. Robots: Providing Services and Your Amazon Parcels - Article title is as good as I can get for this, as it'll be covered in this article. Amazon are pushing the boat for delivery technologies once again, but they're not the only company in the world who looks to make delivering your goods and services in a convenient way. However, Amazon recently have been working on some little robots called 'Scout', which are currently undergoing an experimental delivery service in the Washington State area. Are robots the future for delivery, or is this doomed to fail? Let's check out Amazon's newest venture, but also existing delivery ventures via technology. Mobile Game Review: Lemmings - After yesterday’s article where I discussed some of my favourite Amiga games growing up, I mentioned Lemmings. That got me thinking - I should go back to old games and review the classic puzzler. However, when I got looking into it, the first thing I found was an Android version of the hugely adaptive franchise. Over the years, the image has changed a bit, but how about the gameplay? And how would Lemmings work on mobile? Amiga Gaming: The Games I Remember Fondly - The Amiga was an amazing device. Developed by Commodore back in 1985, the Amiga was an extremely successful version of the personal computer. When the Amiga 500 came out, it was an easily affordable way to get a computer in your own home. Naturally then, due to me being a 90's kid, my family had an Amiga 500 and it was an amazing machine. I genuinely loved the machine - and so today, I thought I'd look back at some of the old games I adored from the Amiga. They say nostalgia is good for the mind and heart, so here we go! Top 10 Evil Laughs - Sometimes, the villain likes to get a laugh in. Infrequently, the villain gets the last laugh, but when they do get their laughs in, you know you’re going to be etched with their echoing laughs for a long time. We wanted to honour those bad people who wanted nothing more than to show us how much they enjoyed messing with our heroes, in this week’s Top 10 Evil Laughs list. MARVELus at the Bristol Improv Theatre on February 2nd - Looking for something different to do on a Saturday night? Love a good bit of comedy? A fan of Marvel? Well then we've got just the thing for you! The Bristol Improv Theatre are proudly sharing the comedy duo, The Just Us League. If you've been looking for an alternative form of comedy that combines both of your love of Marvel films and improv comedy, then this is the show for you. Before you make your mind up, why not check out the Just Us League and see more about the show? Article 13: Delayed Again - For citizens of the internet, you may think this would be something to rejoice. Article 13, the controversial bill put forward by the European Parliament, was recently put on the backburners, delaying any implementation that website owners would need to abide by. This may sound like an excellent turn-around, but this has happened before - And it’ll come back to haunt us again. If you’re unfamiliar with Article 13, or want to know what’s next, read on. GeekOut Bristol Meet – February 9th: Stay A While, Story-Teller - Stories are wonderful, especially when they're you're own! If you've ever wanted to write your own short story and have people read what you've written, you're sort of in with a chance. Sort of. Oh and we'll see how many people we can get to bring their writers hat for this event, too. This is just a good excuse to wear hats and read fun creative works from all of you, in all honesty. Writing Prompts: Backtracking - A couple of days ago, I was challenged by Matthew from Normal Happenings to a Writing Prompt. Considering how much I write on a day to day basis, I've started to call myself a conversational writer. As such, to be challenged to write something completely out of my comfort zone sounded like fun. I thought I'd give this a try, so this article is dedicated to the challenge that was set to me - To write about Backtracking. To write about going back to something after a sustained period of absense. With that in mind, let's give this a go. A Comprehensive Guide To Elder Scrolls Online - Hi, I’m Timlah - and I’m an Elder Scrolls Online-aholic. I’ve been addicted to the game ever since I picked it up on a whim for £15 or so. I’ve played the same character for quite some time, against a lot of the public opinion - and I’m still nowhere near maxed out. Having gotten past Champion Point 300 in a bit under 3 months, I feel like I’ve come along quickly… And since then, I’ve been able to share advice with other players. With the announcement from today about the next expansion, Elsweyr, now's a great time to get into the MMORPG. Card Game Review – The Binding of Isaac: Four Souls - Ever wondered what it feels like to be a crying child? Well, we've all been crying children once in our lives, but in today's review, we're checking out Edmund McMillan's The Binding of Isaac: Four Souls, which was shipped to Kickstarter backers at the end of 2018. Having received mine, I was itching to give this one a try, as I absolutely love The Binding of Isaac video game. Would this new card game meet such high expectations, or should it be forever locked away in The Chest? Join us as we check out the gameplay, the artwork and more in today's review. GeekOut Bristol Meet – January 11th: New Year’s Resolutions Gallery - With that, 2019 was off to a flying start. The geeks of Bristol got together once more, playing plenty of games, drinking and enjoying the warm comforting familiarity of the Old Market Tavern. A huge thanks to the bar staff for another welcoming event, where we decided to see what sorts of plans people had for the year. We had a few great entries for the competition, as well as a new game that we brought along and played. As ever, join us for a look back at this month's GeekOut Bristol Meet. Bristol Comic Con and Gaming Festival – 30th March 2019 - Last year, we wrote about a relative newcomer to the comic con scene, with the Bristol Comic Con and Gaming Festival. After a successful first year here in Bristol, it looks like they're back for another outing. As such, I figured it'd be a good time to check out what the event has coming up this year, as well as ticket prices and more. So, if you're looking for a fun event in Bristol in the next few months, then come check this out. I'm sure it'll be even better than the last one! WordPress: Gallery Limitations and Ways Around Them - Wordpress.com is an awesome platform, filled with great features that help people start up their own blog. Bloggers aren't the only people using the Wordpress platform, but for the most part, they're the main audience. Blogging is a hobby, or a career, which is filled with media. Writing is only half of the battle, trust me - I know that I will spend just as long looking for relevant media, making sure that the media fits the content of the article. However, after some time, you'll begin to fill your gallery up, slowly but surely - And when you do, you'll be left with a headache - One wondering how you get around it. Do you delete the files? Do you make a new website? Here's a few ways you can get around these limitations.